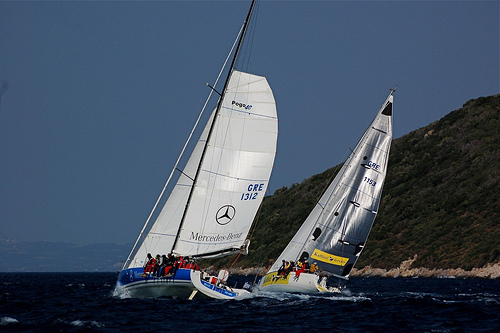 The international Neptune Regatta is organized by a group of experienced and enthusiastic sailors and is open to a wide variety of vessels from pure racing yachts to modern family cruisers with the Regatta fleet divided into six classes: the IRC Racing Class, the Racing Multihull, the Premier Cruising, the Cruising Class, the Cruising Multihull Class and the Motor Boat Rally Fleet. At the end of the week prizes are awarded according to the low point scoring system to three vessels in each class that have completed their series. Though there are different routes depending on the race and the class – for example, the Cruisers anchor overnight at Pulau Riau heading South and Pulau Karas Besar heading North while the Racers don’t stop – all participants in the Neptune Regatta get to take in the breathtaking natural beauty of the area, including the clear tropical waters, the volcanic peaks and the numerous small islands. The jump off point for the Equator is Pulau Sikeling, also known as the Neptune Island, with its stunning white coral beaches. There are plenty of challenges in store as well with all sailors having the opportunity to tackle an area of cross tides and whirlpools known as ‘The Cauldron’. Sailors can also expect to experience very different sailing conditions between the geographically similar southbound and northbound routes due to the Northeast Monsoon. Adding unique character to the Neptune Regatta, before the race restarts at the Equator in ‘Zero – The Race’, each vessel is allowed a time window to pay homage to Neptune and to hold a ceremony for the uninitiated sailors who are crossing the line for the first time. This custom is regarded as ‘a seafarer’s baptism to the Court of Neptune’. Now one regatta that I would love to take part in is the Bay of Islands Sailing Week 2015. Situated on the Northern tip of North Island, New Zealand, the Bay of Islands is an irregularly shaped natural harbour containing 144 islands. With a sub-tropical climate it makes for a great sailing destination. The regatta’s outer race courses offer deep water, great winds and the thrill of racing past picturesque coves and islands during the height of the New Zealand summer. The Bay of Islands Sailing Week 2015 runs from Wednesday 21st January until Friday 23rd January. Over 80 yachts have registered for the Bay of Islands Sailing Week. They will be sailing over three days, and will be racing across several divisions and four race courses using the inner harbour between Paihia and Russell and the outer bay toward Cape Brett. For more information on the Bay of Islands Sailing Week 2015 visit the official Sailing Week site. Once again, the Royal Hong Kong Yacht Club is proud to host the China Coast Regatta 2014. As in the past, this action-packed event will attract some of the most professional sailors from across the world. Taking place from October 10th to October 12th 2014, the China Coast Regatta 2014 forms part of the Asian Yachting Grand Prix Championships 2014/2015. Racers can expect challenging conditions on the waters located directly south of Hong Kong. So, what does this regatta involve and what are some of its major highlights? As in the past, sailors can expect northeasterly winds of between fifteen and twenty knots. This will provide quite challenging conditions for even the most experienced veterans. The overall course combined with what may prove to be choppy sea conditions have both been described as ideal for sailors. Thus, the physical demands along with some truly panoramic views will allow this event to be enjoyed by all who will enter. One aspect which sets this regatta apart is the fact that the race is a combination of both windward and leeward courses alongside inshore races. 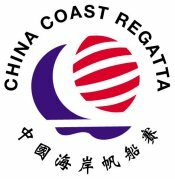 So, the China Coast Regatta 2014 will require a robust set of skills to successfully navigate the entire route. As the sea conditions may change immediately prior to the event, restrictions on boat sizes may be implemented. Indeed, this occurred in 2011 when judges determined that only boats which were over nine metres in length were allowed to compete. In recent times, the “forty-footer” division has now become the most popular category for racers. Although all eyes will be firmly fixed upon the sea and the swells, we should also remember that the China Coast Regatta 2014 is known for the eclectic nightlife that is offered in the city of Wanchai. This is another primary reason why so many sailors prefer this race over others. Entrants can expect fine dining and a choice of different social events hosted by the Royal Hong Kong Yacht Club. Classes which cover such topics as cruising and premiere cruising are likewise offered. HKPN courses are additionally available. So, it is clear to appreciate the reasons why this massive regatta is considered to be one of the premiere racing events for sailors from numerous international locations. Offering a challenging course alongside a variety of onshore events, the 2014 China Coast Regatta will once again live up to its name during the middle of October. This year’s Falmouth Tall Ships Regatta is nearly upon us, and sailing enthusiasts and everyday folk have plenty to look forward to as the whole town comes alive in celebration of all things sailing. Four jam packed days of festivities and activities will take place in anticipation of the big race day, with most events starting at around 11am and going on well into the night, ending around 11pm. Many of these will be free of charge, ensuring that everyone can take part in celebrating and enjoy immersing themselves in he electric atmosphere and festivities, and that nobody feels left out. Preceding the official race, which takes place on August 31st, an impressive collection of 46 sail training vessels from all over the world will pull up at Falmouth docks, and over the four days of activities, punters will be given the opportunity to board some of the largest and most impressive ships and explore them in all their glory. Among the ships pulling up will be a selection of the famous and visually stunning square sail Tall Ships. Access to the ships will be free of charge, and viewing times will be entirely dependent on the tides. However, the times set out for viewings at the docks are 12noon to 8.00pm on Thursday 28th August, 10am to 8.00pm on Friday 29th August and 10am to 8.00pm on Saturday 30th August. Visitors must enter the ships by, or before 7.00pm, and all ships will be closed for entry come the 31st as they prepare for the big Parade of Sail. Th big sail will begin at Falmouth Bay from 11.00am on Sunday 31st August, and visitors to the Falmouth tall ships regatta are advised to arrive early to get the best view of the event. 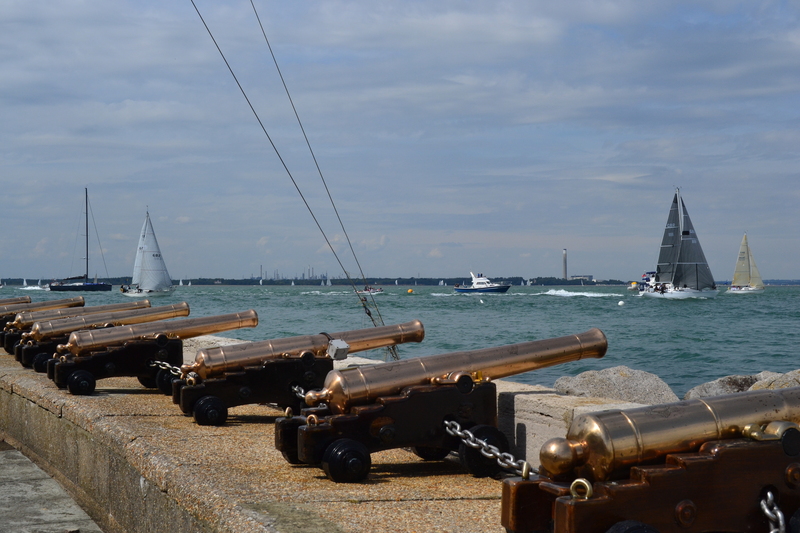 The vessels will not begin to undock until 12pm, and between then and 3.00pm there will be an impressive display as the ships head through Falmouth’s gorgeous bay, passing Pendennis and St Mawes, Henry VIII’s Tudor castles as they kick start their race up London’s Thames to Greenwich. Some great live music has already been confirmed for the Falmouth tall ships regatta, with Abba Revival, the UK’s finest Abba tribute band, set to headline proceedings at 9.15pm on Friday 29th August. Exciting and hotly tipped local talent will also be performing at the series of free events, as well as other bands from across the country. Cape Panwa Hotel Phuket Raceweek is to be held this year on the 16th to 20th July 2014. It will be an action packed four days of racing, with five whole nights of fantastic parties. It is an event not to be missed! This is the first yachting event of the year in the annual Asian Yachting Grand Prix. The event will be run professionally, with a high, international racing standard of extremely talented yachtsman. The event is to be held at Cape Panwa, on the beautiful southern coast of Phuket. Conditions here are excellent at this time of the year – with plenty of wind. This year will see around 40 boats from across Asia, and even the world, come together to race over the four intense days. Around 400 people will race. It is sure to be a stunning, intense sight, at one of the most fantastic yachting locations in the world. The course is varied, with the race navigating around small islands, which leads to a mix of both intense, demanding racing in contrast to more scenic racing in some parts of the course. Not to be missed is the post yachting, regatta party, which has legendary buffets, all free, and great entertainment and people. The party means that nobody leaves Phuket without an incredible, balanced experience. Open everyday, is also the bar, offering a wide selection of beers and exotic drinks. There is usually seven, but sometimes six classes to be raced. These include Sports boats, Multihulls, Cruising boats, Bareboat Charter vessels, IRC vessel classes, Classic vessels and Firefly 850. Cape Panwa Hotel Phuket Raceweek offers the opportunity to charter a vessel to race in the contest. The organisers can help arrange this for you, to make sure that you do not miss out racing in this spectacular event. Cork, in Ireland, is home to The Royal Cork Yacht Club, which is generally accepted to be the oldest sailing club in the world. Its long history dates back to 1720, when it was founded by a great-grandson of one of King Charles II’s courtiers. It received a royal charter from King William IV in 1831. The club plays host to Cork Week, which was inaugurated in 1978 and is Ireland’s largest sailing regatta and a major event on the international sailing calendar. The regatta takes place every two years and Cork Week 2014 will be held from 5th-11th July. This year the official name is Volvo Cork Week 2014, as Volvo, well-known for its investment in sailing events, has chosen to sponsor the regatta for the first time in 2014. The regatta is based at The Royal Cork Yacht Club’s premises in Crosshaven, a quiet village at the mouth of Cork harbour. A few kilometres upriver lies Drake’s Pool, where Sir Francis Drake successfully hid from the Spanish Armada. Cork Week 2014 will see a range of competitive races taking place on six different courses, along with a wide variety of shore-based entertainment. Complimentary berthing is provided to all competitors who are given assigned placed at the Crosshaven marina. Racing is provided for IRC classes, Two Handed classes, White Sail Only classes and One Design classes. The number of race entrants for Cork Week 2014 is expected to be around 400 boats, making for an uncrowded but competitive event. All races take place outside the mouth of Cork Harbour, apart from the Harbour Race, which is sailed on a round-the-cans course in Cork Harbour. Other courses include a Windward/Leeward Course, One-Design Course, Olympic Course, Slalom Course and Trapezoid Course, with different challenges presented each day. An additional event this year is the new Dinghy Dash for Cash mini-series, which will take place on Sunday July 6th. This will consist of three races over a triangular course starting and finishing at Camden Fort Meagher via Currabinny Bank. This open event will be limited to 50 dinghies. Monday 7th July is a practice day, and the main regatta races will held over four days from Tuesday 8th to Friday 11th July. Daily prizes are awarded, with overall class trophies and Prix d’Elegance and Boat of the Week prizes awarded at the close of the event. The 2014 Aegean Sailing Rally, organised by the Hellenic Offshore Racing Club, will be held on July 18th to July 24th. It is an event that will be raced over 340 nautical miles in 2014 (depending on which course is devised the race distance can vary from 250 to 400 miles), and will include four racing legs. A prestigious sailing event, this annual rally began in 1964, with competitors coming from all over the world to take part. Top Greek sailing teams also take part in what is regarded as the most important sailing regatta in the whole of Greece. The types of vessels that feature at the rally can range from super sport racers to impressive yachts. Athens to Milos (a distance of 75 miles) will be the first leg of the 2014 Aegean Sailing Rally. This will be followed by comfortably the longest leg of the rally – the 120 miles from Milos to Astypalea. Next is the shortest leg, which is the 60 miles from Astypalea to Ios. Ios to Sounion is the final leg of the event, and this leg is a distance of some 83 miles. Crews for the event can be made up of experienced sailors to those looking to experience serious sailing for the first time. The rally was originally a sailing event, but over time has become more of a cultural experience for those taking part and watching the event. The schedule is such that there are four days dedicated to racing, while the remaining days of the 2014 Aegean Sailing Rally allow competitors to enjoy the beautiful scenery of the Aegean Islands. There will also be special events laid on at each of the race’s destinations, and these will reflect the culture of the specific destination. Some of the delights on offer include watermelon pies and an array of 80 beaches. The 2014 Aegean Sailing Rally, the 51st, is expected to take place in strong north winds, and the route has been designed in such a way that it will test the athletic prowess of the individual crews. The 2014 West Highland Yachting Week takes place between July 12th to July 18th, and will be held at three different venues – Oban, Craobh, and Tobermory. 2014 sees the regatta reaching its 67th year. The Scottish West Coast’s premier sailing event, the West Highland Yachting Week attracts over a thousand competitors globally. While the event receives media coverage at both local and national level. There will be a variety of social events at the West Highland Yachting Week, including live music. On the opening weekend, Craobh Marina and the Lord of the Isles will be the host when competitors meet for the apres sail ashore, and this will feature dancing, a fireworks display and some surprises. A race taking part for the first time in 2014 will be the Loch Melfort Race. This will kick off the event’s points series. This decision was influenced by the fact that, because of tidal restrictions, the traditional Round Lismore race won’t be able to take place in 2014. The Loch Melfort Race will involve the island of Shuna being circumnavigated twice, and the race begins on Sunday, July 13th from Craobh Marina. The wind direction, on the day of the race, will determine whether the course of the race will be in a clockwise or an anti-clockwise direction round the island. The race will finish off the coast of Craobh. July 14th is the day of the Craobh to Oban Passage Race, while the Tunnock’s and Argyll event is held on the Tuesday. The longstanding Round the Buoys course will involve the Tunnock’s, with the Firth of Lorn being the venue for the Argylls inshore race. Tobermory is the destination for the fleet on the Wednesday of West Highland Yachting Week. The following day, the Tunnock’s take part in the Round the Buoys race again, and, on the same day, the Argylls will have another race inshore. Oban on Friday, July 18th is the destination for the racing yachts. While, later, the Argyllshire Gathering Halls will host a prize giving dance. Falmouth Classics 2014, which includes a sea shanty festival in the town, takes place from June 13th to June 15th. 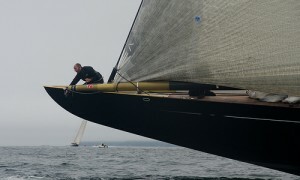 Notably, this year Cornish and French vessels will race against each other. This is the result of an alliance that was created between Falmouth and Douarnenez, a French port in Brittany, to promote each other’s events. Some 150 boats are scheduled to take part in Falmouth Classics 2014, including vessels manned by sailors from Douarnenez. The criteria for boats taking part in the event are that they have classic hulls. This includes classic motor launches.Free berthing is available to all competitors, with Falmouth Haven Marina, close to Customs House Quay, being the area where small to medium-sized boats will be berthed. Larger boats can be moored in close proximity.Falmouth Classics 2014 registration begins at the Royal Cornwall Yacht Club‘s (RCYC) Race Office from Monday, June 9th to Wednesday, June 11th, when welcome and race packs will be issued. Registration will begin from noon and last until 5.30pm. From Thursday, June 12th free berthing and mooring is available at FHC pontoons and moorings. Registration also takes place from noon to 5.30pm at the RCYC.On Friday, June 13th there will be a Racing and Classic Parade briefing at 9.30pm at the RCYC. At the same location registration times will be from 9am to noon. Also on Friday, Race 1 will begin from Carrick Roads at 12.30. After the race there will be Daily Prizegiving, reception and drinks at Falmouth Art Gallery at 6.30pm. In Falmouth town centre the Sea Shanty Festival will begin at the same time, and is due to finish at 1am on the Saturday.The Classic Parade takes place on Saturday at 10.30am at Falmouth Harbour/Carrick Roads. The start time for Race 2 is two hours later at Carrick Roads. The RCYC hosts the Daily Prizegiving (6.30pm), then the Classic Parade Prizegiving, and the Classics Dinner from 7.00-7.30pm. The Sea Shanty Festival resumes at midnight and continues to 1am on Sunday. On Sunday, Race 3 begins at 11.30am at Carrick Roads. The National Maritime Museum, Cornwall hosts the Final Prizegiving at 4pm, with Events Square being the venue for the Sea Shanty Festival Closing Ceremony at 5pm. The Sea Shanty Festival will run from noon to 6pm on the final day of Falmouth Classics 2014.